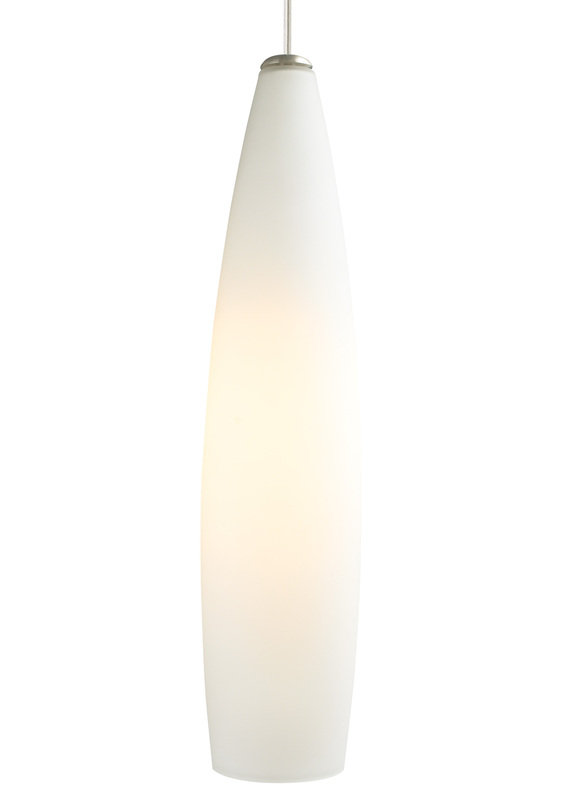 The Fino small pendant by Tech Lighting features a very slender glass shade with a metal detail. Perfect over islands, kitchens lighting, or elsewhere. This classicly modern shape will compliment your decor very tastefully. SBlack, satin nickel, and white finish options highlighted with a satin nickel detail and clear cable; antique bronze finish includes antique bronze detail and brown cable. Includes 120 volt, 75 watt medium base A19 lamp or G24Q-3 base 26 watt quad tube compact fluorescent lamp (electronic ballast included). Fixture provided with six feet of field-cuttable cable. Incandescent version dimmable with standard incandescent dimmer.